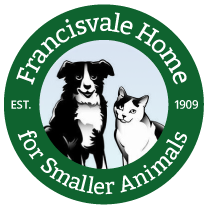 Everyone at Francisvale loves all the wonderful four legged friends that come through the doors, but there is always that one that wins their way into our hearts a little bit more than the rest. We’ve decided to share with you some of our favorite animals in the hopes that our love for them will be passed on and they will find forever homes. This entry was posted on Monday, March 19th, 2012 at 1:02 pm	and is filed under News.